Welcome to Seland Chiropractic Living Well Canter. We invite you to read about our Awesome team and then call us today so we can guide you on your journey to great health. 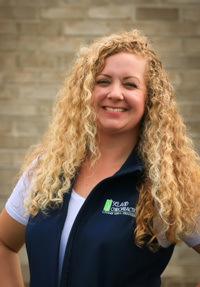 Stacy has been a dedicated employee of Seland Chiropractic since 1998. She loves being a part of a healthcare clinic that has a positive and lasting impact on people’s lives. She has served in a variety of roles during her tenure including her current position as Office Manager. Stacy is a licensed chiropractic radiographer, assisting the doctors with progress exams and new patient consultations. 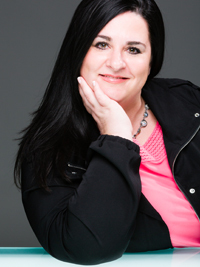 She has been a member of BNI for 19 years promoting Seland Chiropractic and the chiropractic wellness lifestyle. She is currently serving as the Vice President of her BNI chapter. Stacy is married to Brad and has one son, Austin. When she is not at work, she enjoys spending time outdoors, enjoying the lake on her boat, and going to live music concerts. She is a big fan of IndyCar Racing and can be found at the Indianapolis Motor Speedway during most of the month of May. Stacy also volunteers on her Home Owner’s Association Board as the Treasurer. Deanna Beckman has been with us since 2001. She has worked all positions in the office and currently runs the front desk as well as assists with patient care in the back, specializing in training people how to do traction, exercises, and the Vibration Platform. Deanna lives in Fishers with her husband and has two great sons. She LOVES the Colts and will be wearing Colts gear as frequently as she can. Her family enjoys spending their weekends at their lakeside cottage. Her interests include animals, boating, hanging with friends in the sun, reading, and family. She is a great listener and dedicated friend. 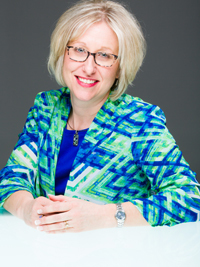 Laurie Seland is our Business Manager. Her first career was that of a speech pathologist working in a hospital setting but has been working in the chiropractic clinic since 2000. She grew up in Wisconsin as well as many Midwestern states. She met her husband while he was in chiropractic school and moved to the Indianapolis area in 1994. Their son is currently in the 10th Mountain Division of the US Army. Their daughter is in high school. 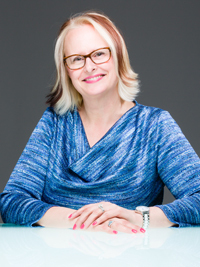 Laurie loves to travel, play the drums, do anything that is crafty, and is an avid scrap booker. She loves animals, especially sloths! She considers it an honor to work with a great team at Seland Chiropractic and enjoys all of our amazing patients. Jessica is our Technical Chiropractic Assistant. She works directly with our doctors and patients assisting in decompression, laser, and other therapies in our office. She is originally from San Francisco, CA but currently calls Noblesville home. She loves living so close to Morse Reservoir and can often be found walking her dog by the water. Her work experience includes six years as a paralegal and four years as a nanny. She enjoys spending time with her friends and family. Hobbies include Ohio State Football, traveling, baking, working out, hiking, and being active outdoors. She is passionate about health and wellness. She is excited to be a part of the Seland Chiropractic team. We look forward to meeting you. Please call our Fishers chiropractic office today!